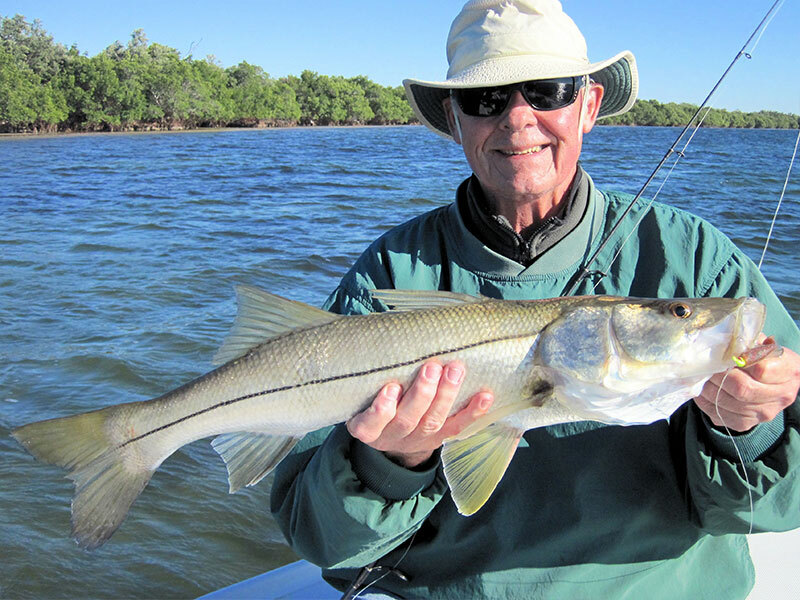 Rick Anderson with a snook he caught and released. 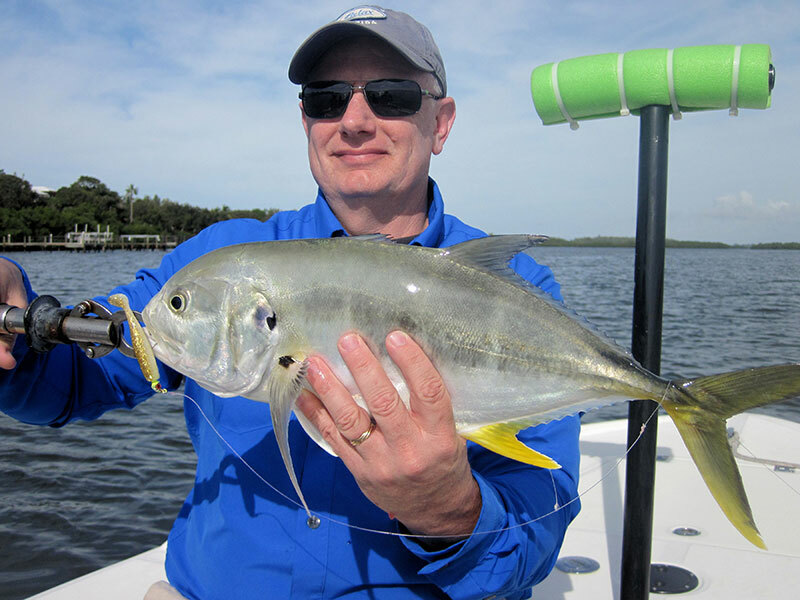 Anglers fishing with me, out of CB’s Saltwater Outfitters on Siesta Key, had some action catching and releasing trout and snook in Gasparilla Sound on CAL jigs with shad tails recently. 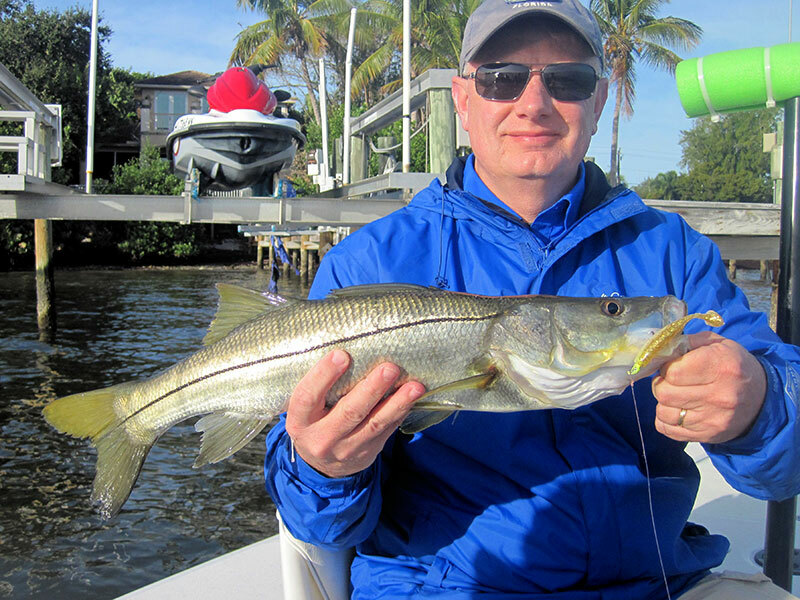 Anglers fishing closer to home with me caught and released snook, jacks, and trout on flies and DOA Lures on several trips in Little Sarasota and Terra Ceia Bays. With cooler water behind a couple of fronts we didn’t catch big numbers of fish, but we caught and released a few good ones in skinny water. Keith McClintock, his son-in-law Rick Anderson and grandson, Nate, from IL, had a good trip with me in Little Sarasota Bay. 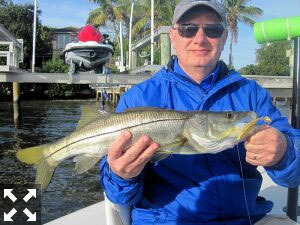 We fished docks where they caught and released snook and jacks on CAL jigs with shad tails. 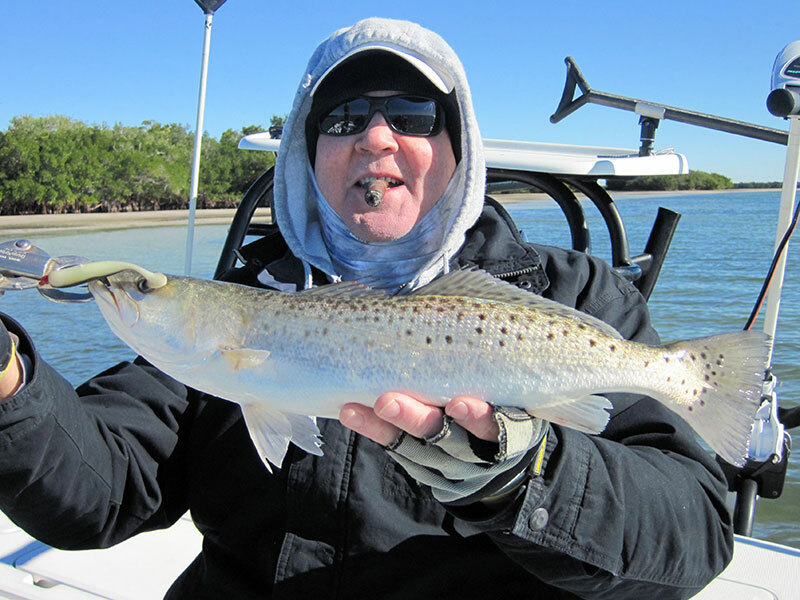 They also caught and released about a dozen trout in deeper water on CAL jigs and DOA Deadly Combos. Keith McClintock with a snook caught and released. Keith and Jack McCulloch, from Lakewood Ranch, FL, fished Gasparilla Sound near Boca Grande with me on another trip on a blustery day. The day behind a front, it was cold and windy to start. They fished hard and caught and released a couple of good trout and a 28” snook on a CAL jig with a shad tail! Fishing dock lights in the evening is usually a good option for catch and release snook fishing this time of year, although it is dependent on tide and conditions. Fishing shallow flats are both challenging and rewarding. It usually requires fishing hard to find and catch fish. You may not catch big numbers of fish but you may catch some good ones.